In Armed Heist: Third Person Shooting Game you’ll get to see how successful you’d be as a bank robber as the game is a realistic bank robbery simulator. 1. There are over 70 unique missions to complete. 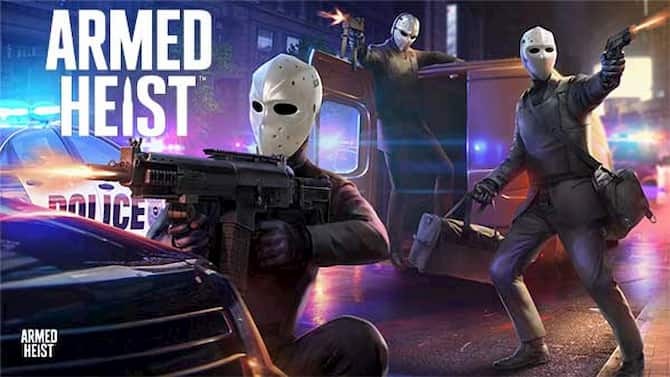 Armed Heist is packed full of adrenaline inducing missions and currently offers over 70 missions to complete. 2. 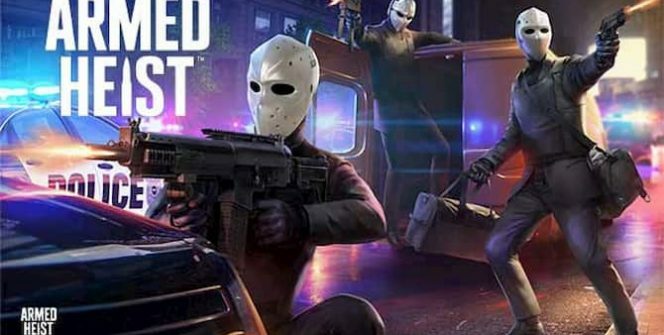 You’ll be able to drive armored trucks to and from your bank heists. If you’re wondering how you’ll transport your loot to your base, you’ll be able to use armored trucks to transport your loot. Just be careful as the authorities won’t think twice about trying to shoot your truck’s tires out, to force your truck to stop.So if you’re not afraid of action packed car chases, you’ll love playing Armed Heist! 3. You can build your own custom weapons. Some examples of some of the powerful custom weapons which you create include modified pistols, shot guns and assault rifles. As an example, you may want to modify your favorite assault rifle by upgrading its suppressors, grips and barrels. You can even change the look of your weapons by equipping your weapons with custom skins. Better yet, unlike many shooters, you’ll actually notice the difference when you fire your modified weapon for the first time, since it has been customised. 4. You’ll be able to hand pick your missions. Instead of having to complete each mission in a predetermined order, you’ll be able to access a database of missions of varying levels to complete. As an example, if you’re looking for a simple challenge, you’ll be able to target a bank which has relaxed security systems. However, keep in mind that the more challenging a mission, is the greater your reward will be if your mission is successful. 5. It boasts unpredictable, realistic gameplay. Even if you play the same mission twice, your mission won’t play out the same way as every decision which you make will alter the way which your mission plays out. As an example, if you take a slightly different route to your bank vault, you may be spotted by security and may be forced to engage in a deadly gun battle. Whereas if you pick a slightly different route, you may be able to reach the same bank vault undetected. 6. You’ll be able to disguise your character in a wide variety of costumes. As it’s not a smart move to hold up a bank, with security cameras without a disguise, you’ll get to dress up your character in a wide variety of fun costumes. As an example, you can dress up your character as a mafia style gangster or a creepy killer clown. The choice is yours. 7. You’ll get to outwit swat teams as well as regular cops. If you try to rob a large bank or take hostages, you’ll attract the attention of military style swat teams, who will shoot first and ask questions later. So if you think you could successfully rob a bank without getting caught, it’s well worth proving yourself by completing your first Armed Heist mission. Sometimes when playing Armed Heist, bluestacks ask you fee to pay but gives you option to download some apps. Every time it asks you just select “Install apps” and continue using it free. I hope you enjoyed this article, please rate and share. 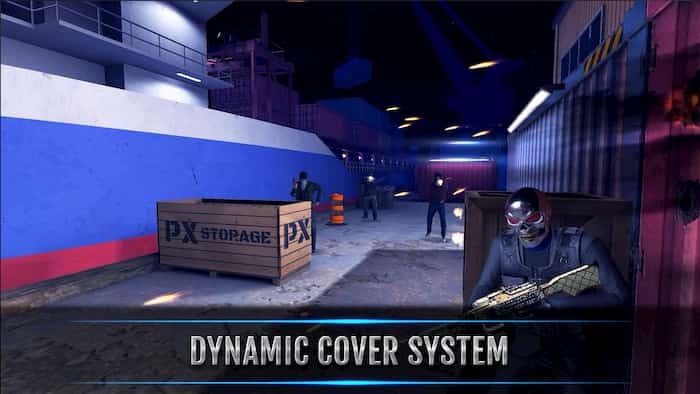 If you have problems running Armed Heist on your desktop or any other issues, leave a comment below.